This healthy recipe is just the right amount of heartiness for a weeknight meal that won’t take more than an hour. 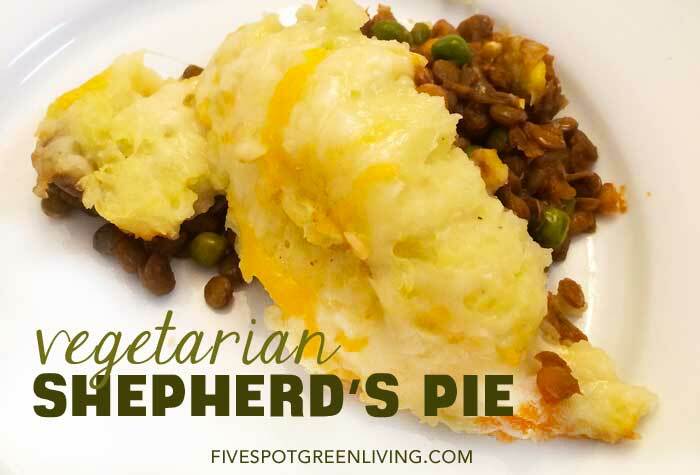 This vegetarian shepherd pie recipe features lentils, carrot and corn, crowned with a velvety mashed potato topping. Yummy. See more healthy recipes here! I like to make my lentils the Moroccan way but you can use canned lentils and season as you prefer. Mix all ingredients for the lentils in a pressure cooker or pot. Add 1 liters (about 1 quarts) of water, and bring to a simmer. Cover, and cook on pressure over medium heat for 20 minutes, or until the lentils are tender. If the lentils are still submerged in sauce, reduce the liquids so that the sauce is ample, but not watery. Adjust the seasoning if desired, and serve with hot sauce, if desired. Sprinkle flour on top of lentil mixture, simmering for about 1 minute just to thicken. Pour lentils into casserole dish. For the topping, place potatoes in a large saucepan and cover with 2 inches of water. Bring to a simmer over medium-high heat. Reduce heat to medium, partially cover and cook until tender, 10 to 15 minutes. Drain and return the potatoes to the pot. Add buttermilk, butter and 1/4 teaspoon each salt and pepper. Mash with a potato masher until mostly smooth. 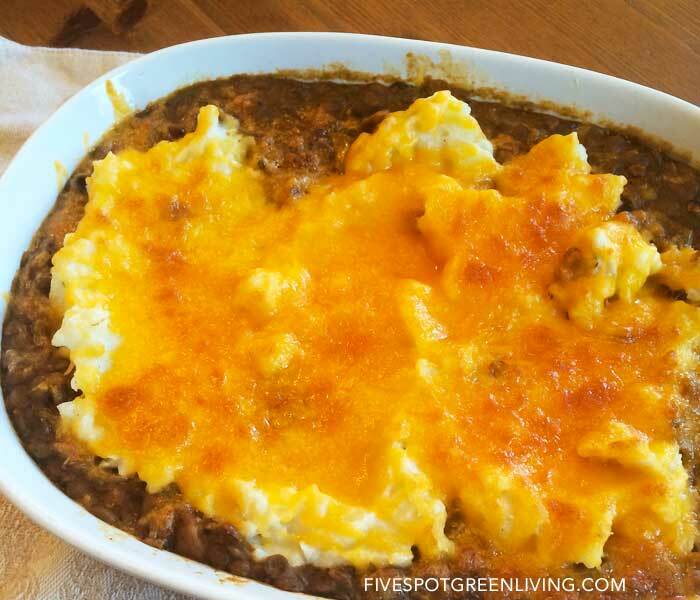 Top the lentils with the mashed potatoes. Broil, rotating halfway through, until the potato is lightly browned in spots, 6 to 10 minutes. Get more healthy recipes for your meal planning! This looks delicious. I’m vegan but I think I can just make vegan mashed potatoes. The flavor combinations look yummy! Thanks so much for sharing!